How do you know if your website is working to reach new and existing customers? Initial websites many years ago were very simple. Some were simply pages of texts with no design and no pictures. As programming and technology advanced, websites started showing these advancements. They became prettier and offered exciting features. Things move on the page and entertain. Marketing messages should be drawing the person browsing in to ultimately converting to a customer. If you are not getting any of these interactions from your website visitors, then your website is not working. It is time to review what you are doing. 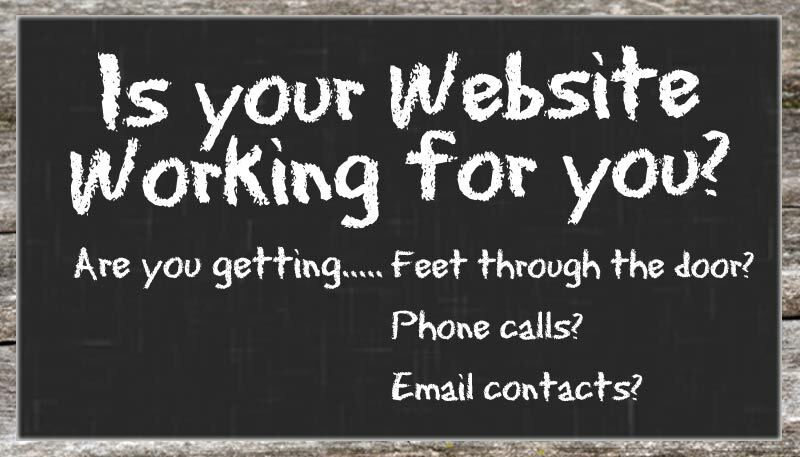 Let us help your business with a website consultation. We will review your website and let you know how we can help your business.